Prachi Jha not only got a Bronze medal in Venezuela. She made the quarter-final in the Girls' singles! Doing so, she pre-qualified for the 2010 Cadet Championship event in Dominic Republic.Congratulations. 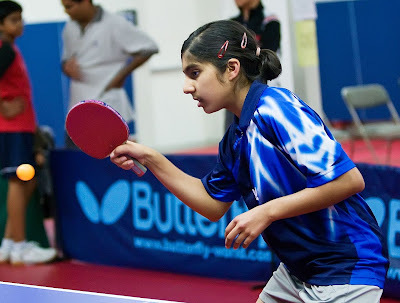 Ariel and Lily will start to compete in the 2009 ITTF Cadet Challenge & ITTF Junior Circuit Finals in Tokyo tomorrow. Let's root for them!